This apartment is on the first floor of a modern and enjoyable holiday complex. The garden and the swimming pool are shared with the other apartments. This fantastic little holiday apartment is light, bright and airy with a clean and simple décor. The property can be found on the first floor of a modern and attractive holiday property complex in Pieve di S. Luce. The lovely garden and swimming pool are shared with the other apartments. There is a beautiful sandy beach a short drive away at 15 km, and shops are even nearer at a convenient 3 km away. This solidly constructed modern apartment was recently built in 2003. The agent has rated it as a three star property so it is a well-kept apartment, equipped with standard furniture. It is also good value for money. 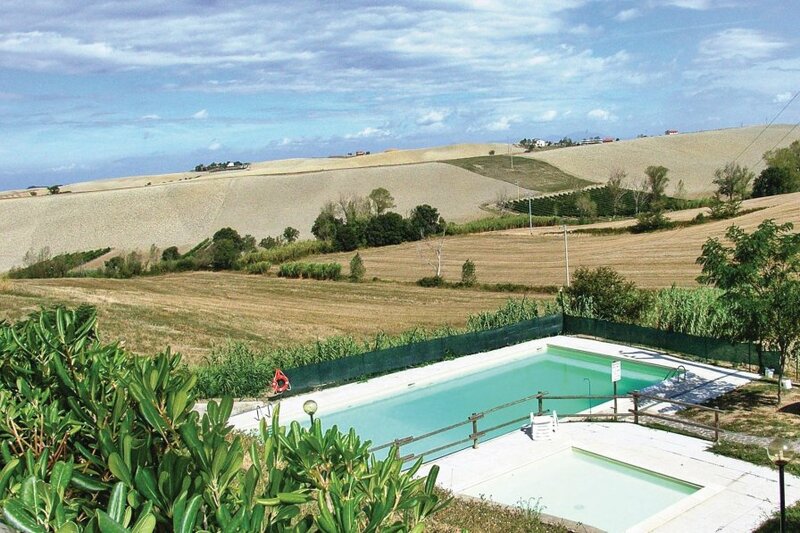 This apartment has use of a shared pool and panoramic view of landscape; it is also located in Pieve di Santa Luce, only 18km from Livorno. It is set in a good location: there is a restaurant only 300 metres away.